If only it would actually book the shows, too. Spotify listening history can reveal a lot about a person beyond just their music taste and favorite bands. 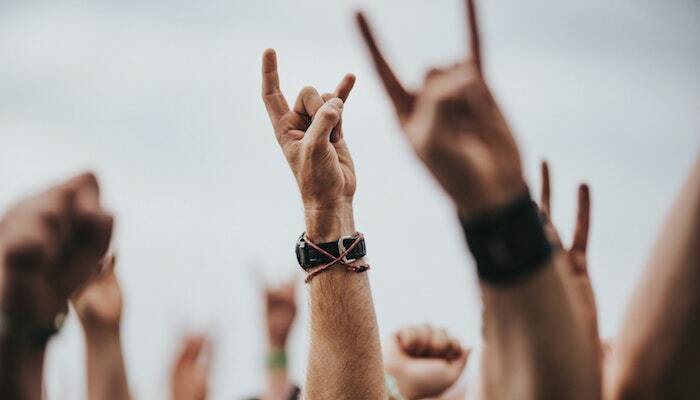 Now, your favorite bands on the streaming app can build your dream lineup to create your own personal Warped Tour or Sad Summer Fest. Based on the user’s listening preferences, Festify plans out perfect lineups for each user. It even goes as far as coming up with a name and poster for your imaginary show. The site allows picks based on either your all time, last six months or last month of listening history. The festival name is then filed under UNHOLY SPACE, FORESTFEST OR VOLCANOJAM respectively. 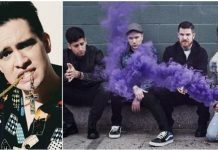 Even bands have gotten in on the fun with Set It Off drummer Maxx Danziger sharing his own very SIO version. You can make your own dream lineup here and check out some more examples below. The new app could turn the tide in the streaming war between Apple Music and Spotify, who are currently competing for most paid subscribers. At the end of February, Apple Music had a total of 28 million paid U.S. subscribers, while Spotify came up just short with 26 million. However, when it comes to total U.S. listeners, Spotify still holds the top spot. This is largely due to their option for listeners to use an ad-supported free version of the app. According to the report, analysts believe Spotify still has a stronger overall subscription position compared to Apple Music. Back in February, Spotify reported a total of 96 million premium subscribers and 207 million monthly active users. Apple Music doesn’t regularly disclose their subscriber total, with the last “official” count of 50 million in May 2018. Who’s playing at your very own Festify lineup? Sound off in the comments below!